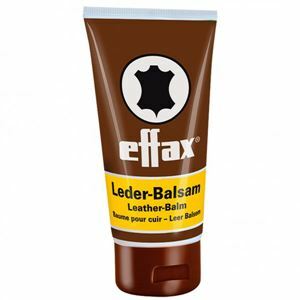 Effax leather balsam contains Lanolin, Avocado Oil & Beeswax, which are essential ingredients for the care and maintenance of saddles, bridles and leather riding products. Effax leather balsam has remarkable nutritive and protecting properties, which helps to keep the leather supple and gives it high tear resistance. This leather feed is particularly suited for smooth leather tack and saddlery but equally good for handbags or leather riding boots and any other smooth leather products. Simply apply with a sponge/cloth, rub and wipe off for a smooth, non sticky and supple finish.